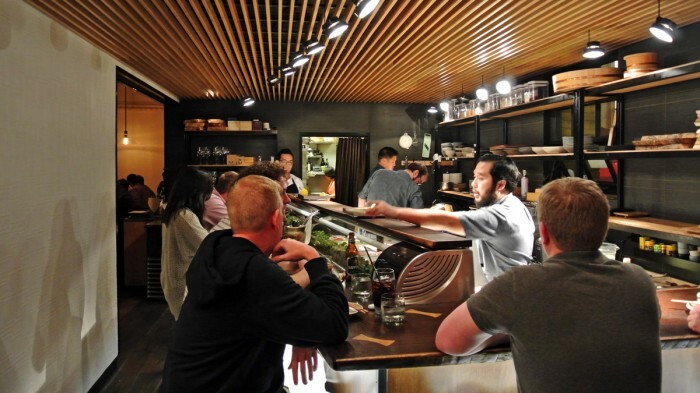 If you’re ready to drop some bills on serious sushi in San Francisco, Akiko’s is the place to do it. 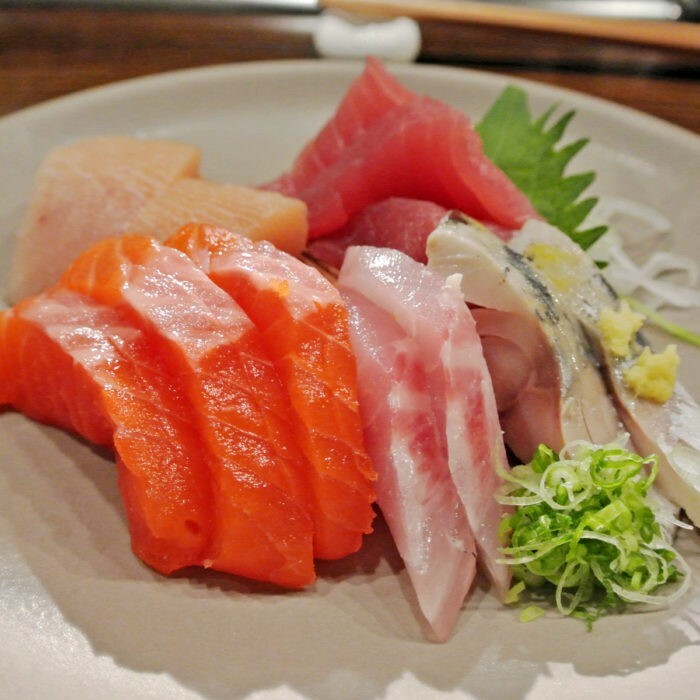 All of the fish is ridiculously high-quality and a good portion of it is even imported directly from the famed Tsukiji Fish Market in Japan. All of their preparations are utterly impeccable and do that magnificent fish the justice it deserves. 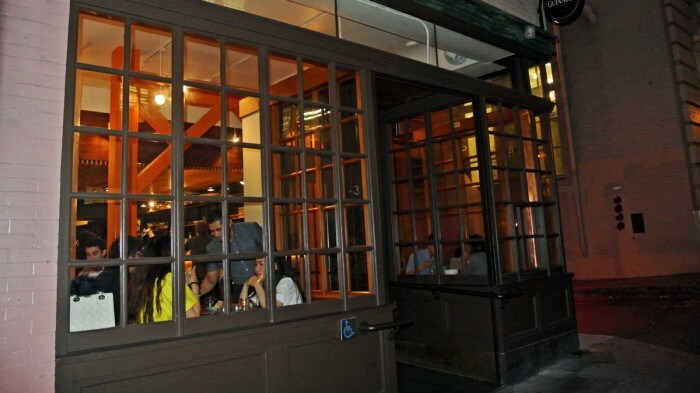 But, Akiko’s isn’t so easy to find. Even with an address in hand, you’ll have trouble because it’s not really even labeled outside. 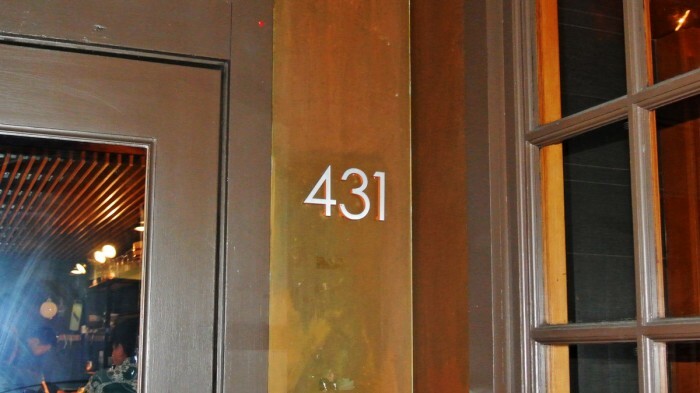 Just look for the 431 posted on the otherwise unmarked doorway and make your way inside. You may notice that the photos in this post look a little different than usual. The sushi chef’s at Akiko’s take their authentically serene dining experience very seriously, and I was asked by my chef not to use flash, so these shots may look less illuminated than usual. 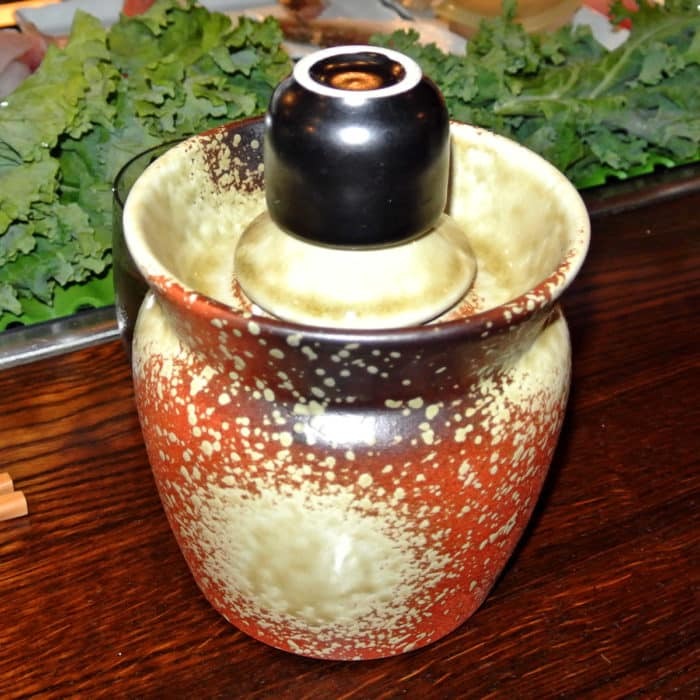 As I often like to do, I started my sushi meal off with an order of house Hot Sake. But, this version was served in one of the more unique ways I’ve ever come across. It was provided to me in a gigantic container that resembled a giant ceramic vase. But, this vase was filled with a piping hot water bath that kept the much smaller internal vessel constantly up to temperature. Though I found it a little bit difficult to actually use, I thoroughly enjoyed and appreciated the awesomely unique and truly functional old-world presentation. To begin my meal, I selected a 12 Piece Sashimi Platter which came with an assortment of some of the highest-quality raw fish I’ve ever had the pleasure of eating. I loved every single cut provided, but both the salmon and white colored fish (sea bream? hamachi? maguro?) in the back left easily became my favorite bites of the bunch. They were so insanely tender and literally melted in my mouth as soon as they hit my tongue. Very special sashimi indeed. And while the sashimi platter was very impressive, I thought that my other dinner selection was even more exciting due to its higher level complexity. I rounded out my light meal with a pick from their specialty roll section – a Rainbow Roll – and was informed as it was handed to me that no additional soy sauce was necessary. They weren’t wrong about that. Every single bite was perfectly prepared and included a different piece of raw fish perfectly laid over the delicately assembled roll. The rice was loosely-packed and magnificently vinegary and came wrapped around real, yes real, sweet crab meat. No, there was no sign of that fake crab stick BS here. SF is particularly well-known for their deliciously sweet crabs and this roll did an excellent job highlighting the local specialty. Additionally, this roll included a spicy sprinkling of burnt seed crumble which was scattered over the top and added a wonderful toasty flavor and texture to the roll. Beyond that, there was an unusual green sauce drizzled over top that really took the whole thing to another level. I asked the chef about the sauce as he told me that their special sauce was made with citrus, shiso, and chile – a truly bold, flavorful, and interesting flavor combination if you ask me. 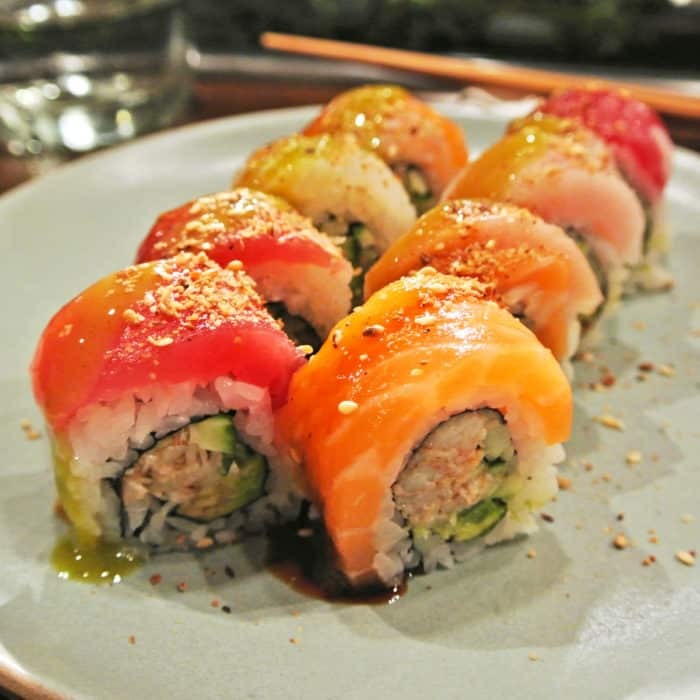 It added such a wonderful brightness, spicy kick, and herbal-quality to the already very exciting and flavorful roll. So like I said, though it’ll cost you a pretty penny, the sushi, sashimi, and rolls at Akiko’s are seriously incredible and worth every hard earned cent you’ve got. If you want to know how insanely good sushi can be, take a trip to Akiko’s and let you stomach guide you. Got another amazing sushi joint in SF I should check out? Let me know in the comments below.